What are Coins for in Oddmar? How Do You Buy Weapons in Oddmar? What are the Weapons for in Oddmar? What are the Special Big Coins for? How Many Levels are there in Oddmar? How Do You Beat the Dreamworlds? Is Oddmar Worth the Purchase Price? Why Didn't I Get All the Coins in Oddmar? Another mushroom-filled platformer adventure awaits! And this time, it isn't Mario! 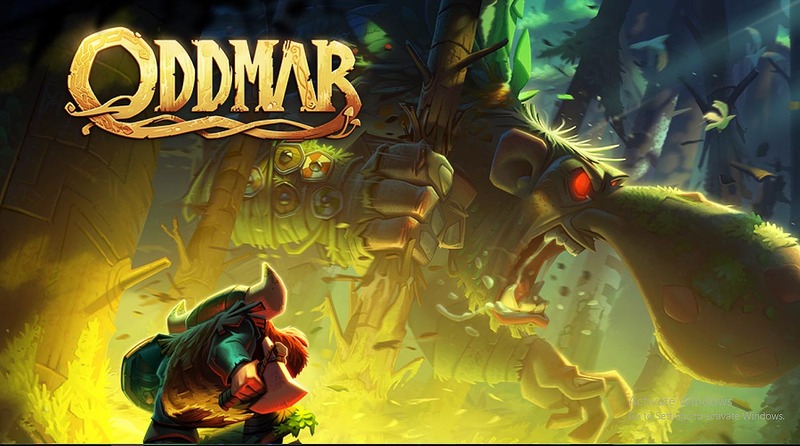 Oddmar is a norse themed, classic styled, 2D platformer game that constantly delivers a stream of small gameplay nuggets. As per usual dose of any platformer game, you are at the mercy of each and every jump as they are the very obstacle laid out in the stages for you. In the game, you’ll be tasked to find your way to the end of each stage, with various obstacles you’ll have to tackle along the way. In the game you'll have to jump from walls, rappel, sprint, ride a boar, glide, find your way around nasty traps and monsters. Similar too with other side-scrolling games, failure is always around the corner, waiting for that missed step to throw you in a frustrating repeat of the whole challenge. But as with any successful platformer games in the past, they simply are addictive like that. Though that is the case, you shouldn’t easily judge the game as a re-skinned platformer game for it actually bring fresh delights in its mechanics, as well as very interesting accompanying lore. Definitely a good pick for it is quite challenging, addictive, and at the same time has a lot of replay value. We've compiled some relatively useful information and short guide about this game -- such as tips, hints, special coin locations, level guide, etc. Welcome to the guide!